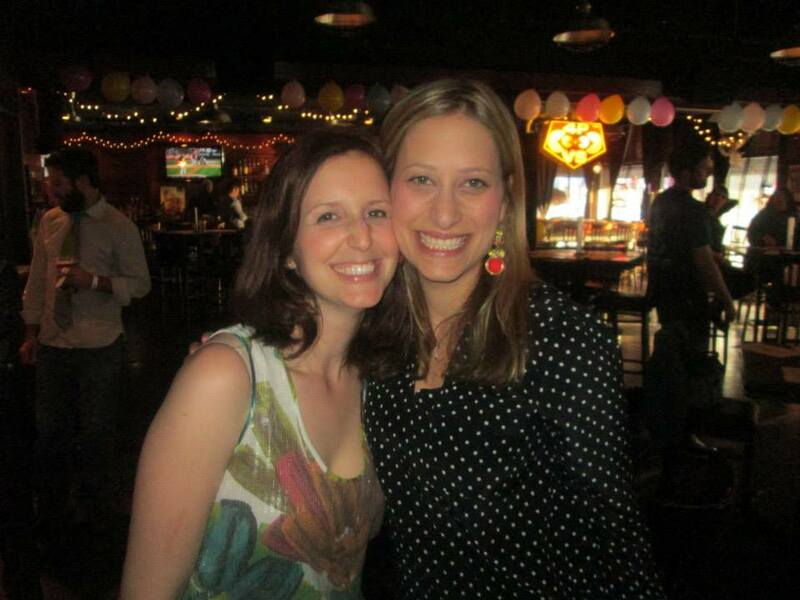 Today’s guest blogger is Lauren Thal, a longtime friend, volunteer and supporter of The SAMFund. She’s also one of our 2015 Sambassadors! In her post, she shares why she believes in the work that we do and why she’s so committed to our young adult community. What she doesn’t say, though, is that she’s a total rockstar when it comes to events. She has been on the host committee for our annual Chicago fundraisers and is currently working on next week’s Casino Night (she even got her husband, Daniel, to agree to be a guest dealer!). We know she is one busy lady, so we are extra appreciative of all of the effort, time and energy she puts into helping The SAMFund. We are incredibly lucky to have her on our team. Cancer is almost always a negative word. I don’t think I’ve ever heard the word and not cringed. I have seen firsthand how cancer can tear a person and their loved ones’ lives apart. When you hear “cancer-free” it should be positive. Yet, as The SAMFund reminds us, like most things in life, cancer isn’t free. The financial burden it causes is a huge problem for so many, especially young adults. Yet The SAMFund actively provides a solution. This organization gives back, gives forward, and constantly reminds us that surviving is just one part of the journey. With just a little help, we can assist cancer survivors to live the life they want and so valiantly fight for. The SAMFund strives to turn an enormous negative into a positive. I have been a friend of Sam since the moment I was born, and a friend of The SAMFund since the moment it was born. I have never had cancer, but I have been (and still am) a young adult. I have been a young child and a young adult that has had real health scares. I luckily had the safety net of financial support and solid health insurance, a safety net so many of my peers do not have. Instead of focusing on growing, learning, loving, and exploring, young adult cancer survivors are saddled with the fear that each and every bill will not get paid. Over the last twelve years that The SAMFund has grown, I lived my reality of a twenty and thirtysomething: career development, first car, first home, dates, broken hearts, marriage, and the thoughts of starting a family. These should be the “concerns” of most young adults. There SHOULD be and WILL be struggles, but young adult cancer survivors are so often forced to take a back seat during this critical phase in life because they faced an illness that does not discriminate. I know what it’s like when your world comes crashing down and you feel as if you are losing everything. But I have seen how a community can rally around you when you are at your lowest point, and with a simple act, lift you up. To me, that is what The SAMFund does. It is the hand that reaches out and saves you when you feel like you are falling. I have seen the smiles, the tears, and the hugs from those that have been touched by The SAMFund; they are real, they are honest, and they are worn by those that just want to live their lives to the greatest potential. There is a saying, “there is no such thing as a selfless act,” and I tend to agree. Even though volunteering is often seen as selfless, I must admit some of my reasons are, in fact, selfish. I may give my time and money to this organization and to YA cancer survivors, but they give me back the same hope and positivity I aim to provide them with. They remind me that we may be bent, but we will not break.